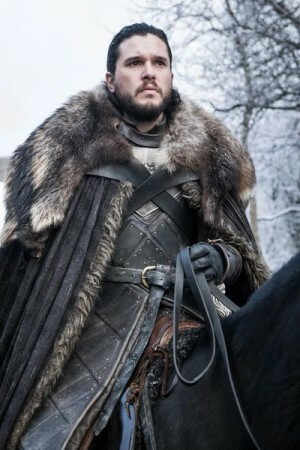 The popular fantasy drama TV series produced by HBO, Game of Thrones, is set to conclude with the eighth and the final season scheduled to premiere on April 14, 2019. This season is only 6 episodes longer, unlike the first six seasons having 10 episodes each while the seventh season had 7 episodes. However, similar to earlier 2 seasons, the 8th one is going to be based on the outline of The Winds of Winter and A Dream of Spring, 2 final, unpublished novels in A Song of Ice & Fire series by George RR Martin. After standing for 8000 years between the Seven Kingdom of Westeros and the outside lands, the wall mounted on Daenerys Targaryen’s dragon Viserion’s reanimated corpse has been breached. Blasting through the ancient fortification, the Night King has damaged the Eastwatch castle. Comprising of over 100,000 wights and White Walkers, the army of the dead is heading towards the North, bringing a winter and another Long Night that is likely to last forever. On the other side, there’s still military and political strife going within the Seven Kingdoms with a contest still on for the Iron Throne even if the War of Five Kings ended long ago. Due to her past victories over Daenerys Targaryen’s invading forces and other acts, Queen Cersei Lannister is determined to hold the Iron Throne. And, she is ready to sacrifice anything to retain her crown, which includes letting the army of dead devastate the North before she starts focusing on the threat for this will put an end to all her enemies. Jon Snow, chosen as the North King, forms an alliance with Daenerys to fight against the wrath of the dead. Two Stark siblings, believed to be dead, are likely to return at Winterfell. Along with this, and many more surprises, the final season of the Game of Thrones is said to contain one major battle that took the crew a whopping 55-day time to film. Will Cersei, Jon Snow, Daenerys, and others join forces against the dead? Watch the final verse of the song of ice and fire to unlock the answer to this and many more questions.